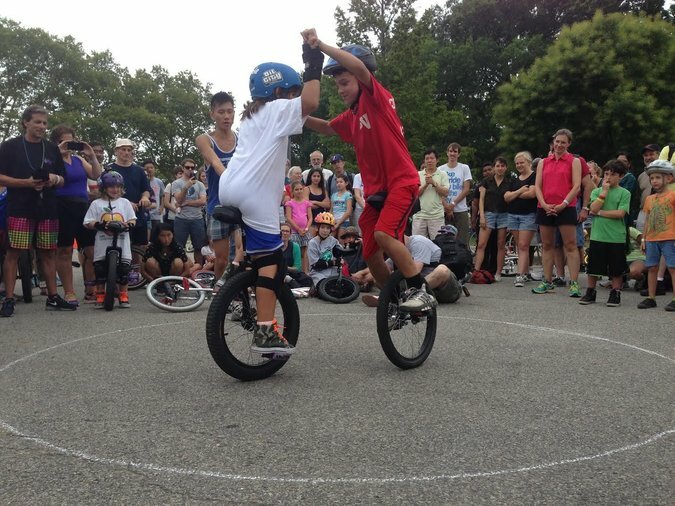 On Governors Island the activities of the 2015 New York City Unicycle Festival continued with an action packed two day program of unicycling featuring a costume contest, Unicycle basketball, Unicycle Hockey, Unicycle Sumo, a unicycle skills performance show, a raffle and much more. 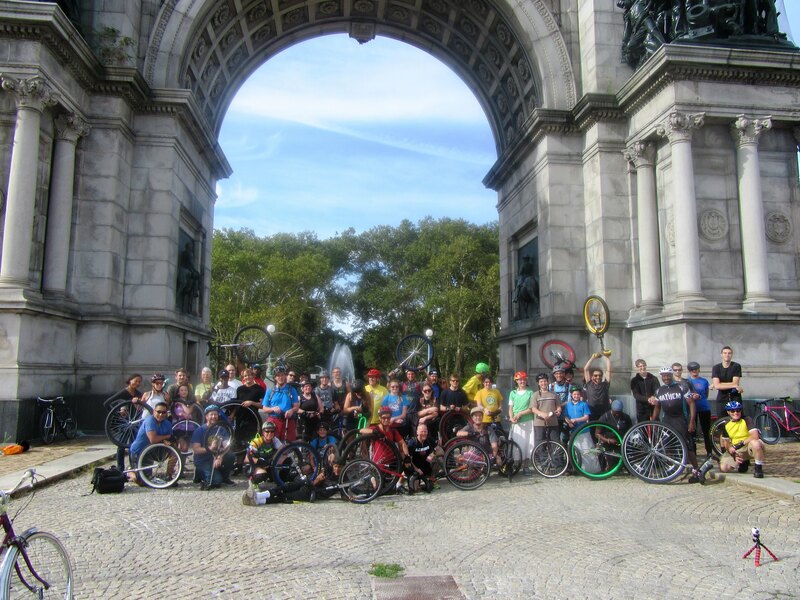 Unicyclist of all ages and backrounds from all over come to New York to participate and witness a fun gathering. 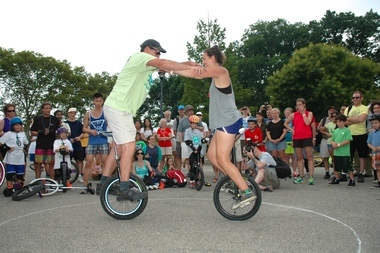 Though the focus is on unicycling, multiple talents were on display with jugglers and gymnast displaying there talents. 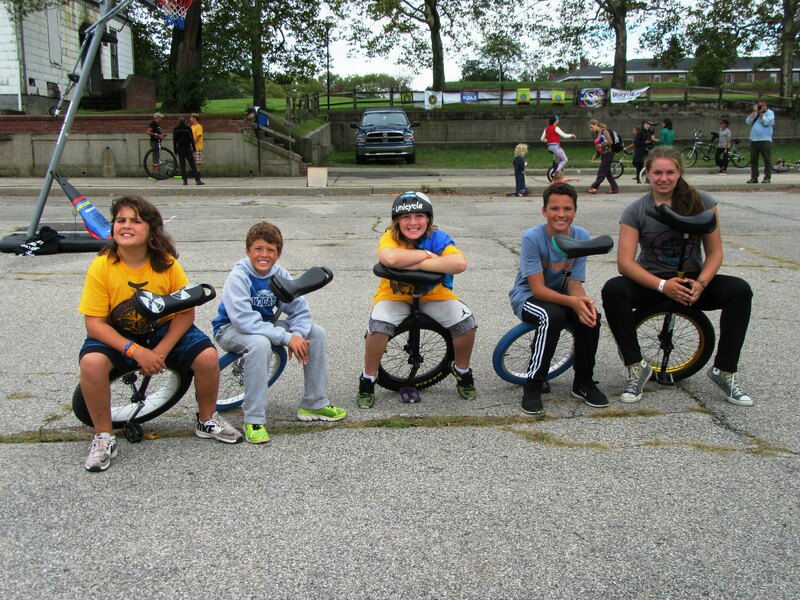 Governor Island is in the midst of a 8 year renovation that is scheduled to be completed next year. There has been significant progress with this construction project. 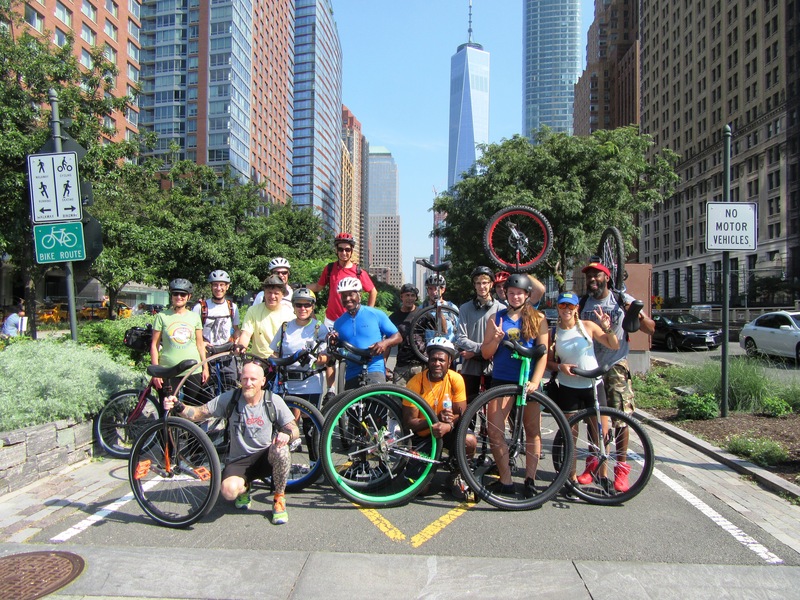 Those who have had the opportunity to attend the festival had the added bonus of being able to tour the island and enjoy the new cycling paths and other areas that have been installed on the island. This has been the fifth year of the festival. 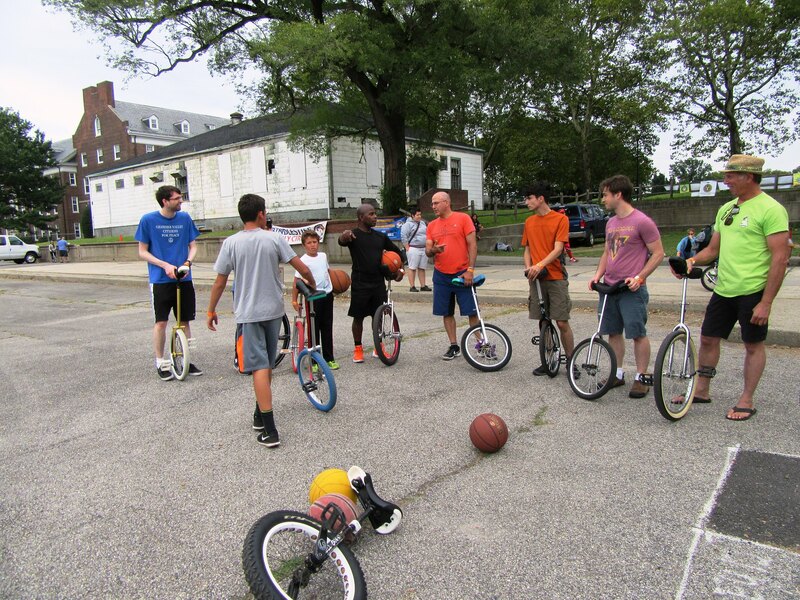 It was a well attended event that fun for all that attended. Clicking one of the photos will take you to a slide show of the Photo album for that day on our Flickr site. There are a lot of photos for days two through four. If you prefer to browse each day's album you can click here for the Album page.